Data reduction operations such as deduplication and compression are widely used to save storage capacity in primary storage system. These operations are compute-intensive. High performance storage devices like SSDs are widely used in most primary storage systems. Therefore, data reduction operations become a performance bottleneck in SSD-based primary storage systems. 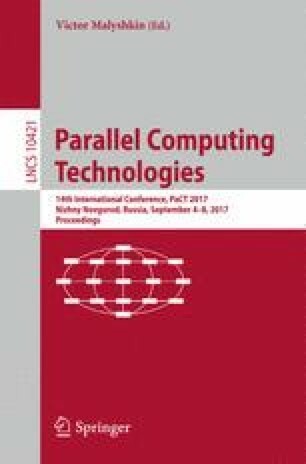 In this paper, we propose a parallel data reduction technique on data deduplication and compression utilizing both multi-core CPU and GPU in an integrated manner. First, we introduce bin-based data deduplication, a parallel technique on deduplication, where CPU-based parallelism is mainly applied whereas GPU is utilized as co-processor of CPU. Second, we also propose a parallel technique on compression, where main computation is done by GPU while CPU is responsible only for post-processing. Third, we propose a parallel technique handling both deduplication and compression in an integrated manner, where our technique controls when and how to use GPU. Experimental evaluation shows that our proposed techniques can achieve 15.0%, 88.3%, and 89.7% better throughput than the case where only CPU is applied for deduplication, compression, and integrated data reductions, respectively. Our proposed technique enables easy application of data reduction operations to SSD-based primary storage systems.